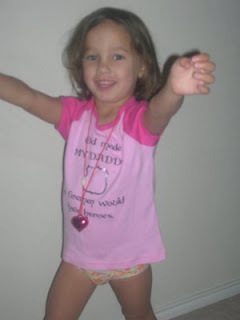 I've already uploaded these pics of our Valentine shirts gift to Sei, but if you aren't on Facebook you may not have seen them. Every year I get a personalized shirt on Vday declaring my love for Sei. You can see my "Got Sei?" shirt in the post below. This year I surprised him by getting "cop" shirts for all the kids and myself!! The kids all picked their own shirt style, what it would say out of the choices I gave them, and font, so it was a collaborative effort. Sei LOVED them all! "God made MY DADDY so firemen would have heroes." "Don't like cops?? 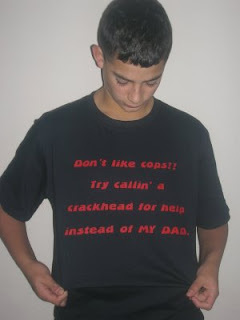 Try callin' a crackhead for help instead of MY DAD." 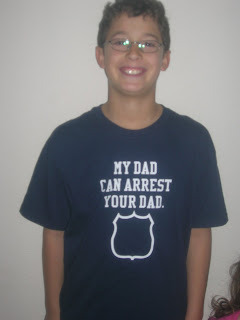 "My dad can arrest your dad." 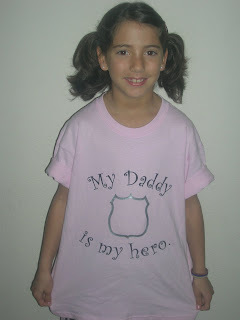 "My daddy is my hero." 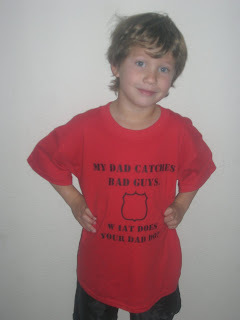 "My dad catches bad guys. What does your dad do?" 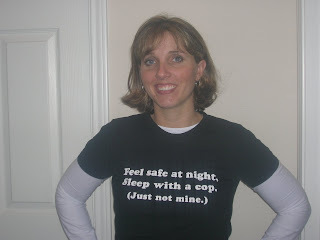 "Feel safe at nite, sleep with a cop. (Just not mine.)" All awesome, especially the last one. Where can I get one for my friend - she'd love it! Those are so great. I bet he loved them. And again, that girl isn't wearing any pants! What happened to "Got Sei?" I was thinking of all the haters that would be jealous of you. I LOVVVEE them! 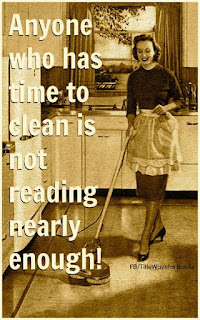 Especially yours! It wouldn't let me comment last night. A conspiracy indeed. You are so awesome Tori! You never cease to amaze me. I love them all, specially "My dad can arrest your dad." Love them! 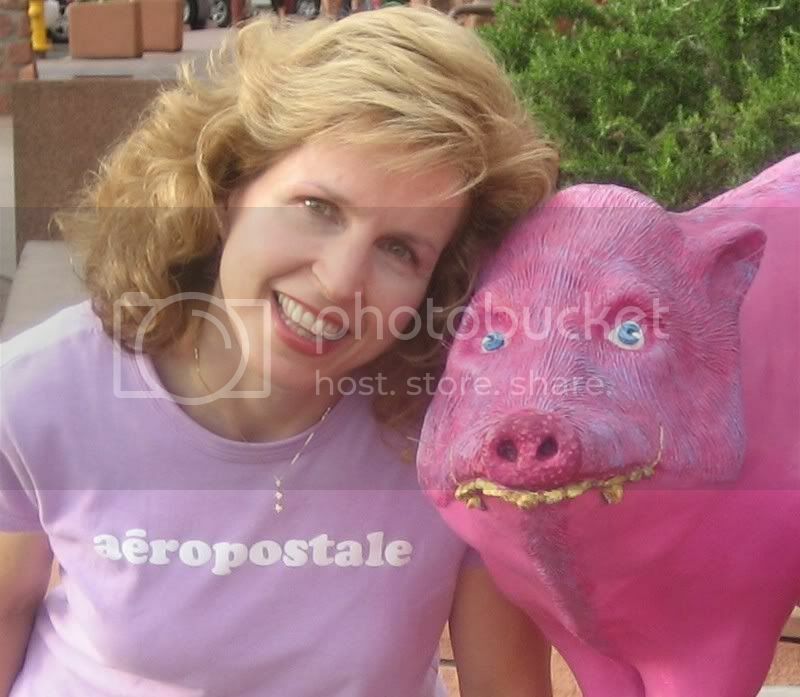 and yes You look HAWTT!